The six-month rigorous imprisonment imposed on Ven. 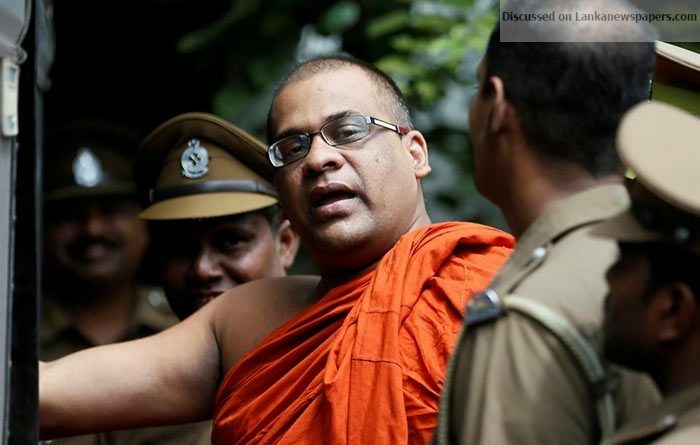 Galagodaatte Gnanasara Thera for threatening Sandya Eknaligoda, was suspended for five years by the Colombo High Court today. However, the Thera would continue the six-year jail term which was imposed on him after being found guilty of contempt of court over his conduct during a court hearing regarding the case of missing journalist Prageeth Eknaligoda.